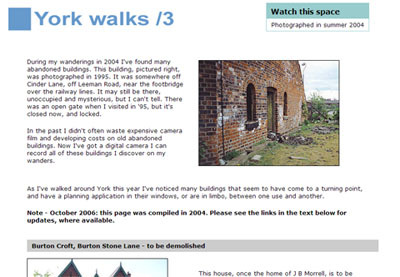 Back in 2004, in the ‘York Walks’ which formed the original version of this website, I put together a page with the title ‘Watch this space‘. 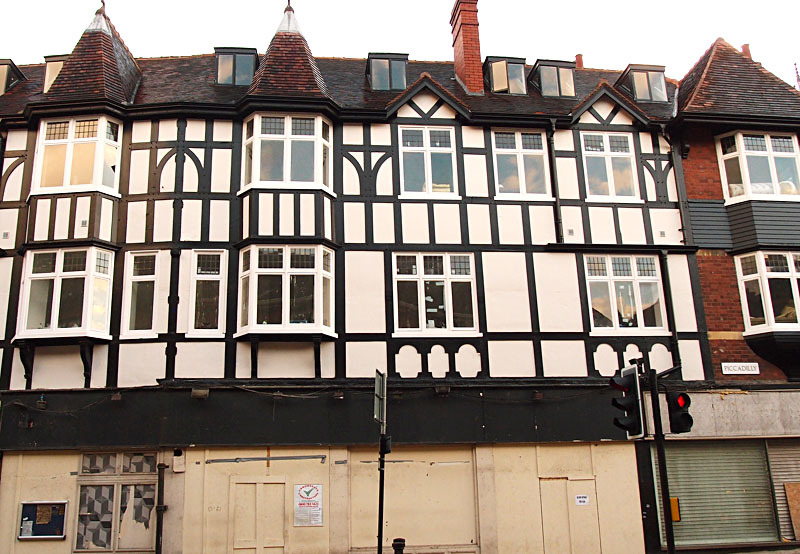 It included several buildings widely condemned as ‘eyesores’ in the intervening years. If you were indeed watching those places and spaces you’ll be aware that it took a long time, but that four of the six buildings featured are either back in use or on their way to being occupied. 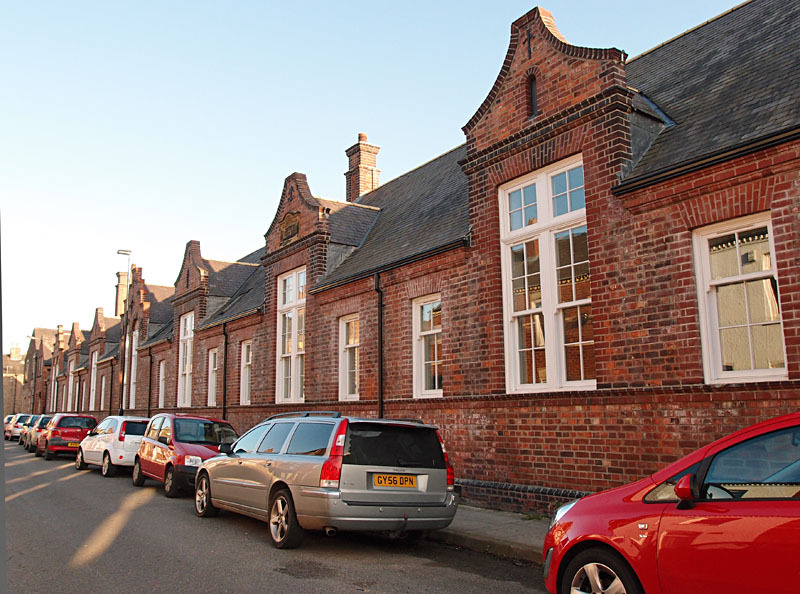 Firstly, Shipton Street School, its main frontage on Shipton Street. Many years ago I also took a lot of photos of the other side of it, from the playground area. I have an update on those too, but for now, this was the face it presented to the street for a decade or so. The most obvious difference between the 2004 and 2014 views is the number of parked cars. 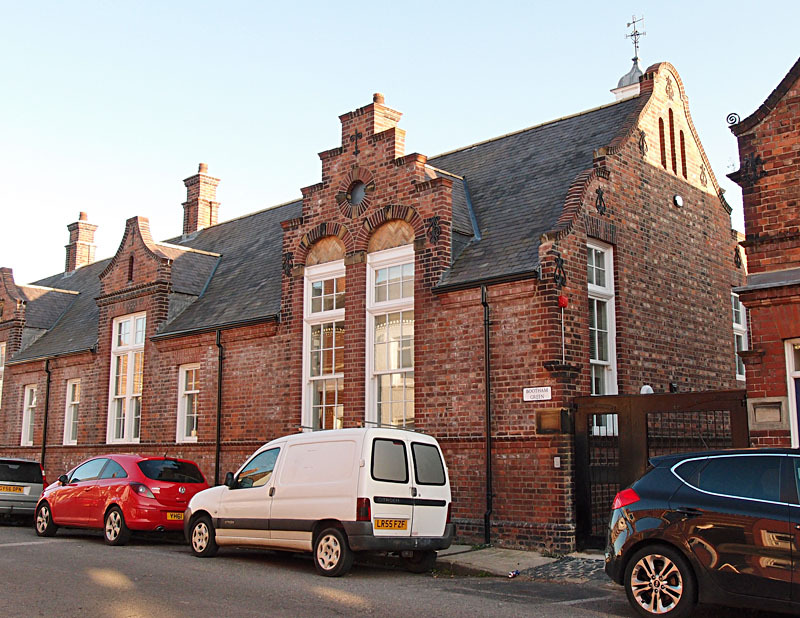 There are several possible reasons for this, not necessarily to do with the Shipton St School development, though it may be. Perhaps someone who lives on or near Shipton St can add a resident’s perspective in the comments. Less obvious, not obvious at all unless you happened to walk by when the windows weren’t boarded up, but the conversion to residential did change and perhaps spoil the windows. Inevitable. I might have some photos somewhere but they were that lovely old wobbly glass with interesting reflections, and no doubt on the inside the teacher had to use some kind of long pole with a hook on the end to open and close them. Or perhaps I’m having a memory resurface there from Mill Mount School. Anyway, the old school windows are gone, which is a shame. On the other hand, these windows are letting in light for the first time for a decade or more and the building is back in use. Shipton St School is out in the suburbs so didn’t get that much attention. 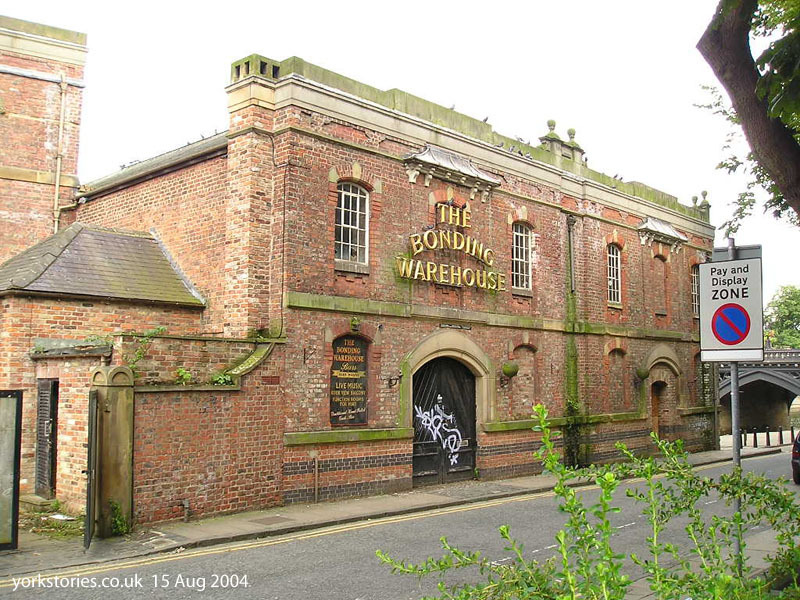 The Bonding Warehouse, on the other hand, is well-known. I’ve covered it in depth already on many pages over the last ten years, but I haven’t yet featured its completed bridge on the street side. Thanks to Gwen Swinburn for alerting me to this change. With very prominent and very ugly signs. The signs are apparently necessary to indicate the height of the bridge. The bridge was constructed to allow the residents of the upper floors to access their accommodation. 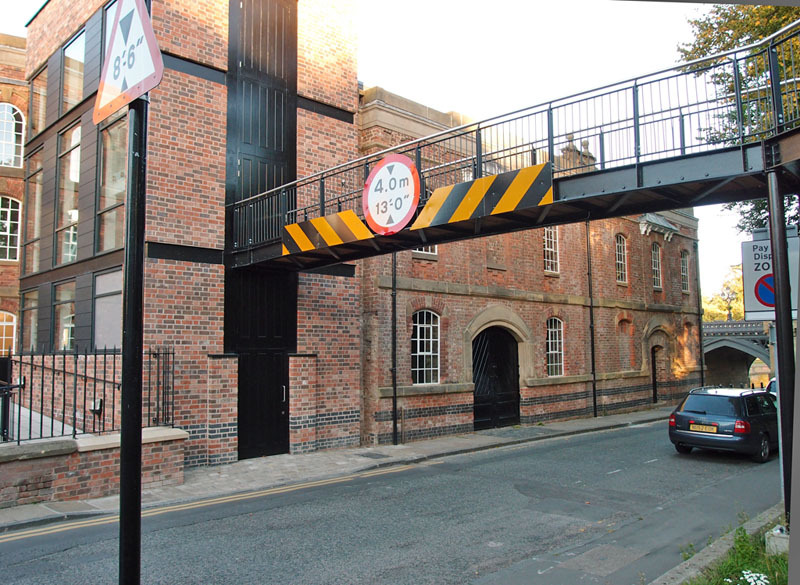 I’d got the impression that they were to have some kind of temporary emergency bridge in case of floods, like the other residents of Skeldergate do, but clearly not. The bridge itself is okay, its associated signs are … well, an eyesore. A word I avoid using as it tends to be indiscriminately and thoughtlessly applied to any empty boarded-up building. But here it seems appropriate. Not that it really matters. They’re just really intrusive signs, and the city is full of them. At least those ridiculous Lendal Bridge ones have been removed. … not much different from before. Which was exactly what we the public wanted, when consulted. So that’s good, isn’t it. 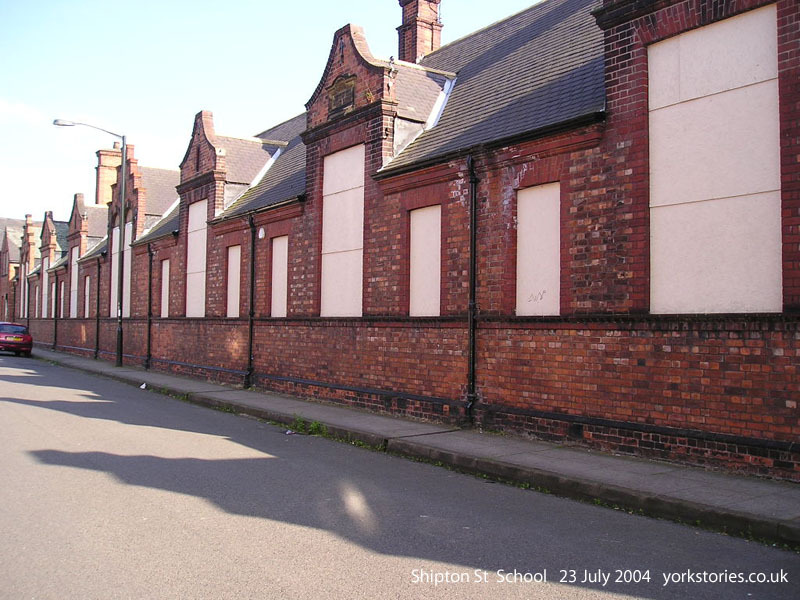 So, three substantial buildings sitting there boarded-up 10 years ago are now back in use or on their way to being so. Two are listed buildings so we had to keep them. 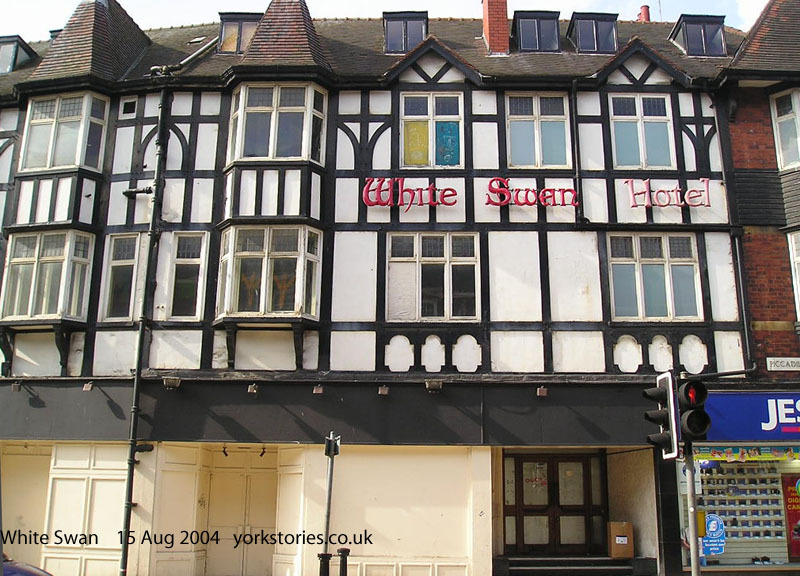 The White Swan isn’t but it’s a pretty mock Tudor thing where it meets the street, and we wouldn’t make anything better than that now probably, so it’s sensible choosing to keep it. There are still boarded-up buildings surviving, but only a couple of substantial ones I can think of. More on them and other things later, if someone wants to sponsor more hours of writing and compiling. 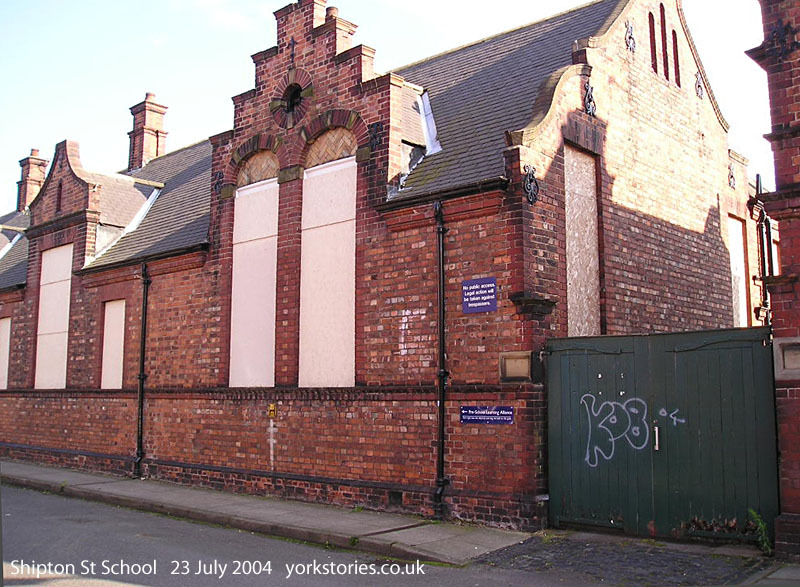 The other buildings featured on ‘Watch this space’ ten years ago were 1) Burton Croft, included on a recent page; 2) the Clifton hospital laundry (demolished) and 3) the St Clement’s church hall and associated house. They’re the subject of the next page.